We have created an order form for parents to fill out and we have just received 4-5 EMPTY order forms! Parents have contacted us saying the form is not calculating their order correctly so it's saying $0!! I just tried the form myself and it worked for me. Please help ASAP as we have orders going on right now! There is an issue with the last product on your form. 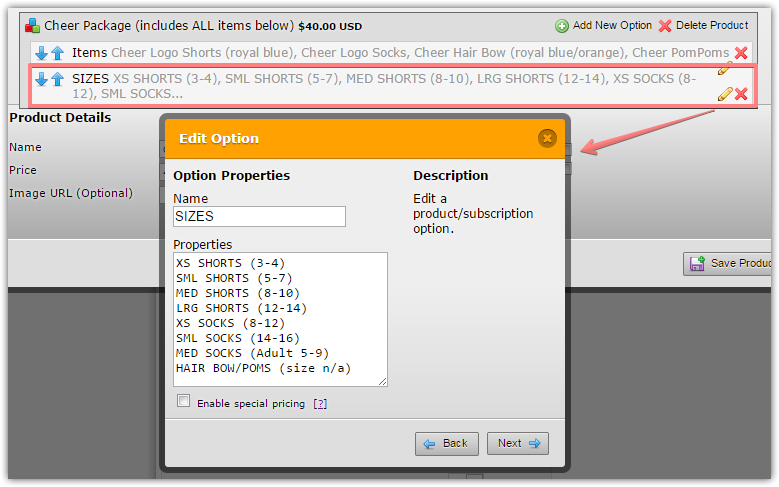 It seems that you have renamed the default quantity option to SIZES, and unfortunately, this is not a valid setup. If the issue is related to any other products, please let us know.